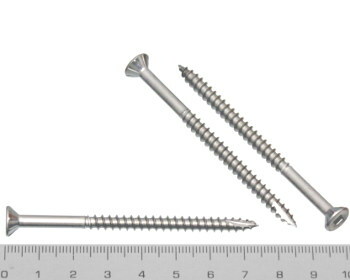 Square drive, self countersinking head, 304 grade stainless steel, 10g, 75mm decking screw. 12 threads per inch. Suitable for use in decking etc. Use with a number two square drive bit such as these.